This family-friendly Kuala Lumpur hotel is located in the entertainment district, just steps from Low Yat Plaza and Jalan Alor. Berjaya Times Square and Sungei Wang Plaza are also within 10 minutes. Bukit Bintang Station is 7 minutes by foot and Hang Tuah Station is 10 minutes. Along with 3 restaurants, this hotel has an outdoor pool and a nightclub. Free WiFi in public areas and free self parking are also provided. Additionally, 2 bars/lounges, a coffee shop/café, and a conference center are onsite. All 450 rooms provide free WiFi, 24-hour room service, and satellite TV. Other amenities available to guests include coffee makers, free newspapers, and free bottled water. 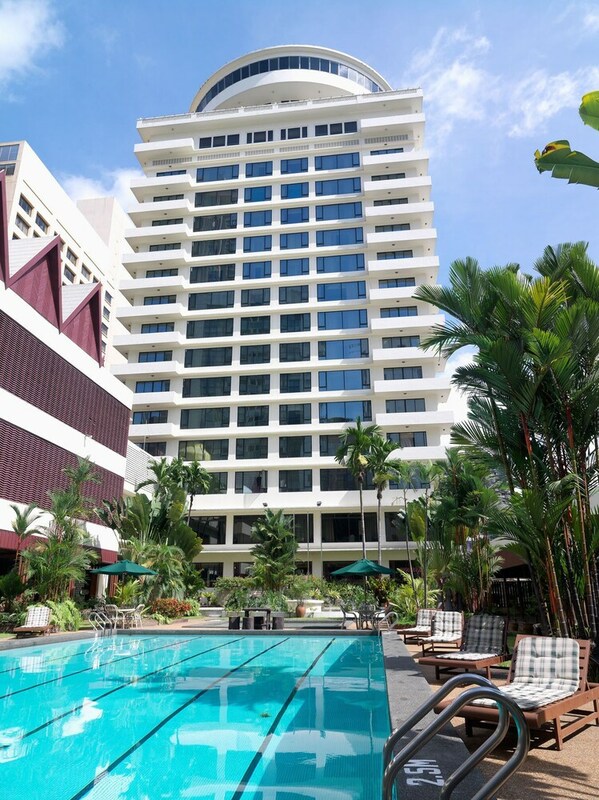 Federal Hotel Kuala Lumpur features an outdoor pool and a children's pool. Dining is available at one of the hotel's 3 restaurants and guests can grab coffee at the coffee shop/café. Guests can unwind with a drink at one of the hotel's 2 bars/lounges. A computer station is located on site and wireless Internet access is complimentary. This family-friendly hotel also offers a nightclub, tour/ticket assistance, and gift shops/newsstands. Complimentary self parking is available on site. Federal Hotel Kuala Lumpur has designated areas for smoking. Federal Hotel Kuala Lumpur has 3 restaurants serving breakfast, lunch, and dinner. Kontiki - This poolside restaurant specializes in international cuisine and serves light fare only. Open 24 hours. Open daily. Bintang Revolving - This restaurant specializes in international cuisine and serves dinner only. Open daily. The Verandah - This lobby lounge specializes in international cuisine. Open daily. Rollaway/extra beds are available for MYR 118.00 per day.